Well! you would never have imagined it would you! 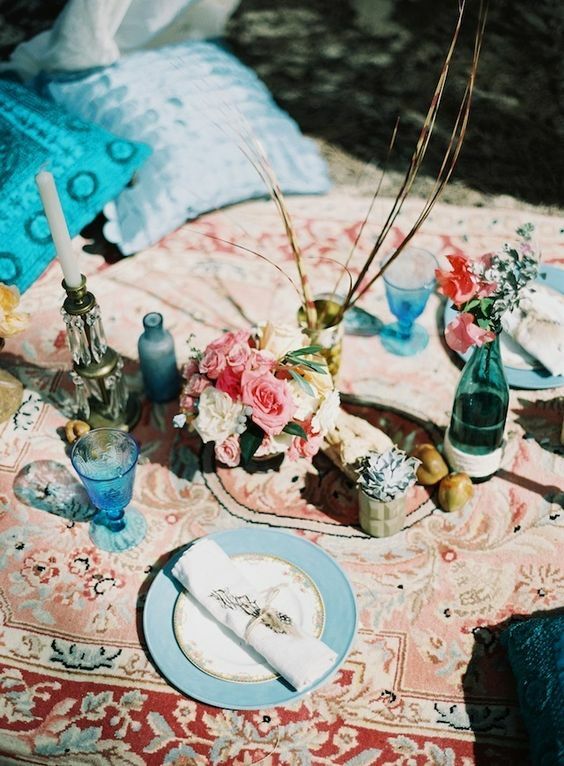 Moroccan Style mixed with shabby chic! surely not!Those two styles are at opposite ends of the decorating spectrum, so how the hell are they going to fuse together!..well just look above! That moroccan rug mixed with eastern glassware and those roses! well it looks like this idea could definitely work with a few of the right touches! You see a friend said that to me the other day and I assured her that it would work. Her hubby loves the exotic moroccan style and she loves my happy shabby look. He had always won her over, opting for orange and brown hues, making the rooms look very dark…and we all know how depressing dark can be don’t we! 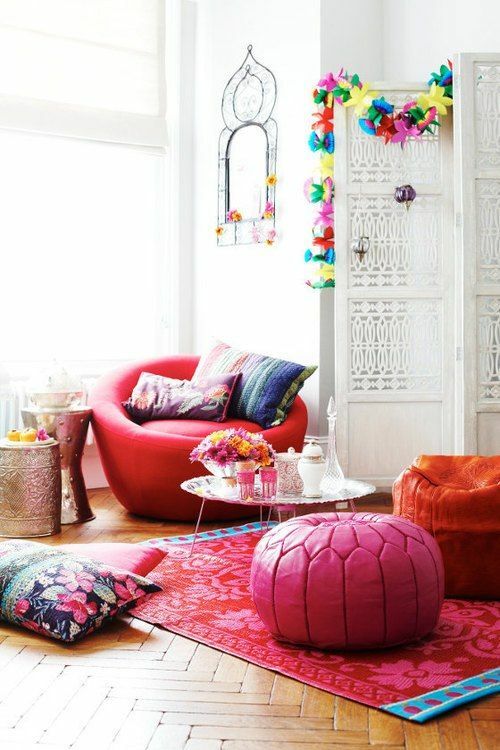 Moroccan style does NOT have to be all dark and dismal…True! it can be that way and you often see that style more often than not, but if you like the shabby chic thing, you can easily incorporate the two. You can make a start with decorating your room white…this is a favourite decorating choice in the mediteranean and rightly so as white reflects the heat (dark colours draw in the heat) Just look at the picture above! 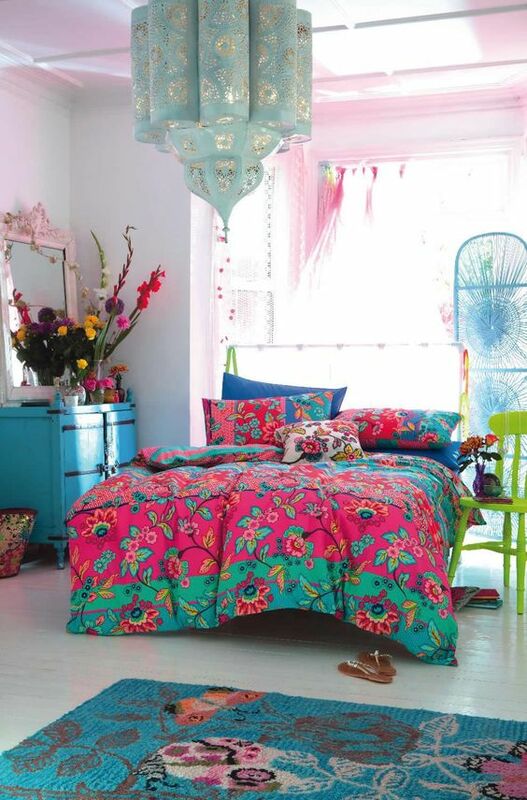 so bright and calming with a good mix of eclectic furnishings, just the right amount of bright colours mixed in with the white , goes to make it a dreamy Eastern interior…imagine you biting the bullet and decorating in this style!…Suely it would feel like you lived by the sea every day of your life! 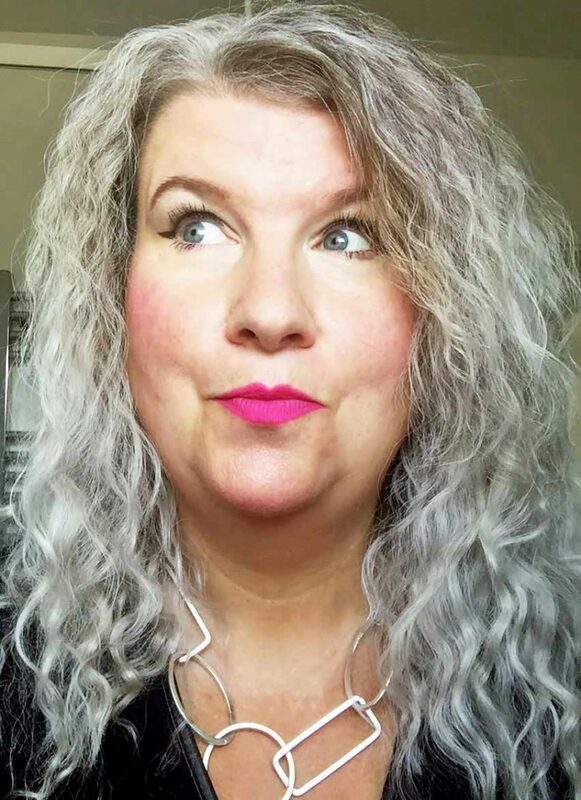 You can get this look with just a few key pieces. Use your imagination and scour charity and junk shops in your area…you never know what you will find and you can always upcycle something by giving it a lick of paint…perhaps in bright pink with gold squares for decoration…I am so loving bright Fuschia pink and gold at the moment! 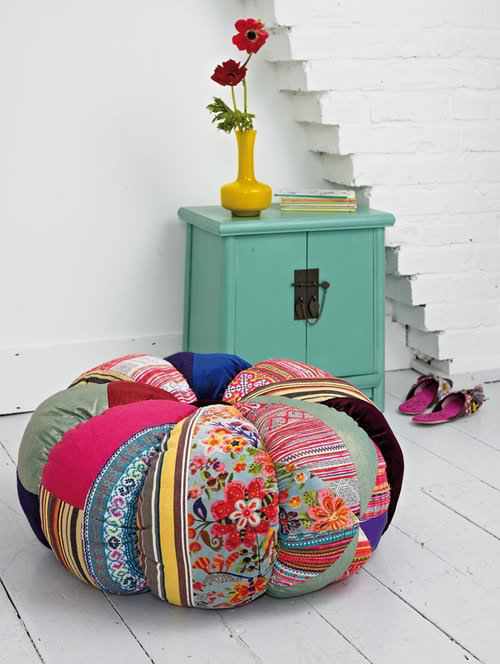 You could always try making a pouffe like the one above, there is plenty of free patterns out there on the web…Or perhaps a few floor cushions could just be the change you need to get you in the mood for your own Moroccan shabby chic interior. I hope these pictures have inspired you to want to decorate in this way. As indeed I hope my friends hubby will be won over by these gorgeous pictures too!Do you like this style?Or do you prefer the dark oranges and browns? My Son Daz What an Inspiration!